"If you're a fan of word-based digital entertainment especially there's an awful lot to enjoy..." - Pocket Gamer "From something that evolved from a card game in the 1950’s, this game is a hit in this millennium." - Pocket Full Of Apps ----------- Have you been waiting for a new social turn-based word game? Then your wait finally is over! If you like games like WWF you will absolutely LOVE BaliFied! 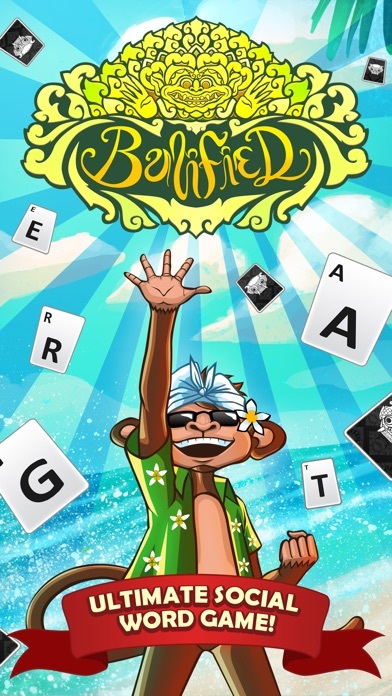 BaliFied - Word Game of the Gods mixes the skills from word games with the strategy and excitement from card games! Play against your Facebook friends, your BaliFied friends or against random word game lovers all around the globe. Are you always feeling bored waiting for your opponents to make their BaliFied moves? Well not anymore! With the new single player mode you can ALWAYS PLAY against a computer bot. Practice your strategy, and at the same time earn free coins by beating our BaliFied master Ulu! Three different difficulty modes, EASY, MEDIUM and EXTREME.... 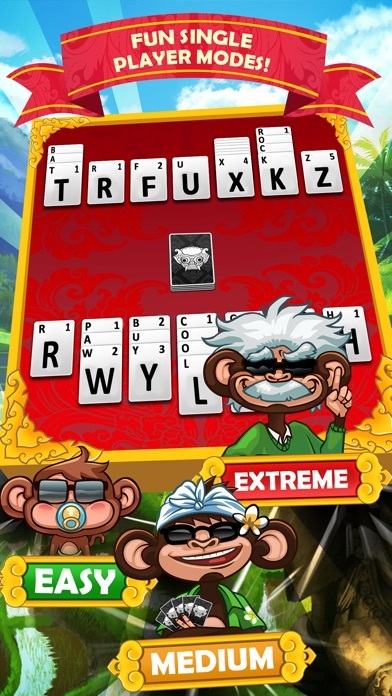 Create the longest and highest scoring words, steal your opponents saved words to ruin their strategy, use BALI wild cards plus a whole lot more fun & exciting gameplay. This brand new social word game has an unique gameplay unlike anything you've ever seen! Special Features: - Stack up the points Create words by laying letter cards into columns. The longer and more difficult to use letters, the higher the score. 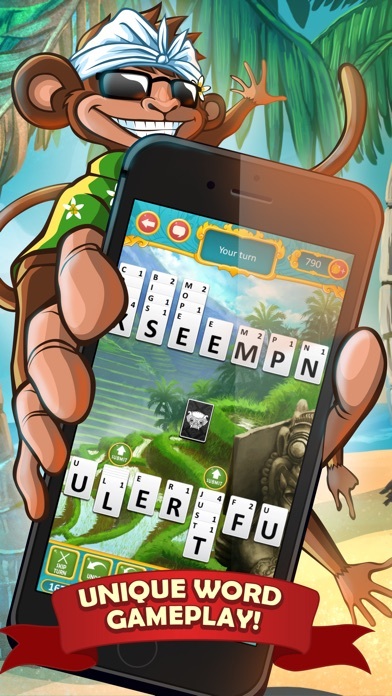 - Go for the steal Grab a letter or a saved word from your opponent’s lineup to complete or extend your words. Avoid devastating retaliation by submitting them on the same turn. - Use Special Actions If used correctly the 4 special actions available will definitely take your game to another level! - BaliFied by the best This definitely is a game changer.... 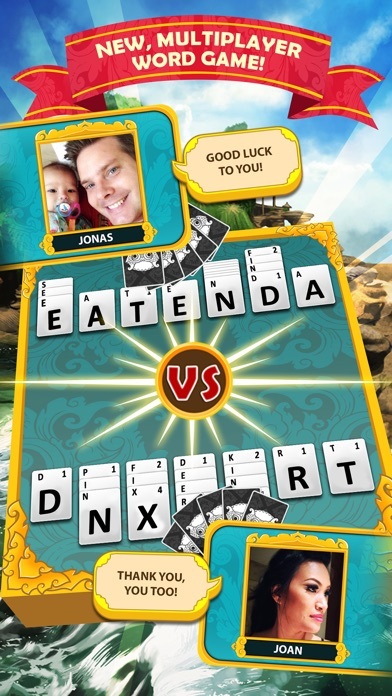 If you manage to finish the game without any loose letters, your points will be doubled. What a wonderful reward for those who achieve a perfect play! What are you waiting for? Join us in an exciting word-based challenge with a twist. As a competitor, you’ll need general vocabulary knowledge plus great planning skills. That’s because a winning strategy isn’t just about impressive word construction. It also requires utilizing wild cards, executing tricks, and invoking special powers all at the most effective moment. 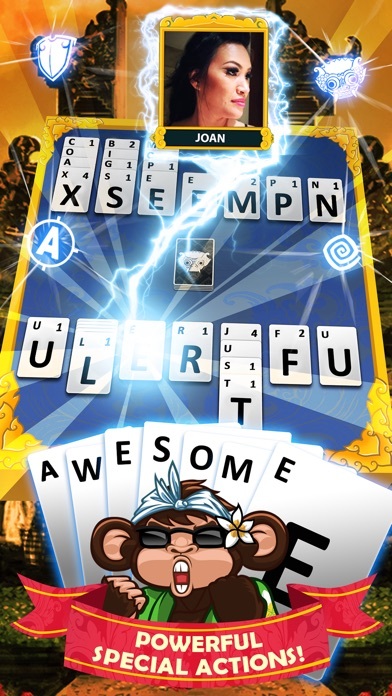 Download BalIFied - Word Game of the Gods now for FREE. Challenge your friends & family in this new and exciting word game! Cannot complete any in-app purchases. Very frustrating. Great game! Very fun, I like it better than my scrabble app. Only suggestion, there are only 3 levels for single player, and the extreme level seems easier than the beginner level lol. This is a really fun game! I just wish they would update the app so that I could purchase it. It is needing an update, too. But still lots of fun!! Nice variation on scrabble, but Ned to reload too often. Lose all games and stats. Last time! Great, innovative game. App locks up so I have to restart it a lot, but the game is so interesting it's worth it. This game is awesome!! Hubby and I are in competition, lol. Love it! I like this game better than Scrabble! Need more available players. Game sometimes freezes up and you have to close it out. Music is horrible! Fun! Awesome! Great to play with your friends! This is a great game of word assembling. Based off of an old word game played with cards. Try it. You will like it. Remember, if you finish the game with no loose letters left your total score doubles!